Is there a YouTube tutorial for something now? Then there should be an AR tutorial in the next year. The VR/AR train just keeps chugging forward -- Ready Player One had a huge weekend at the box office, and even more brands and media companies are launching AR experiences, from Outdoor Voices site-specific mashup of hiking and shopping to USA Today's rocket launch. Some are even looking far into the future, like Leap Motion's virtual wearable -- it won't be on the market for years, but is a fascinating glimpse of what is possible. But many agencies and brands are still not sure what to do with the new technology -- and we are here to help. We are offering half-day, full-day, and multi-day workshops, embedding in your office to work with teams to educate them on the latest trends and help brainstorm actionable ideas that can be sold in to clients or the folks at the top. These are in high demand, but we are offering discounts for the first five newsletter subscribers to book a session. Reach out and let us know ASAP, and we look forward to hanging in a conference room with you soon. Raise your hand if you've ever been driven to tears or considered breaking up with someone when you try to assemble Ikea furniture. We know we're not the only ones, and that's why designer Adam Pickard's prototype of an AR Ikea assembly manual made us jump for joy. 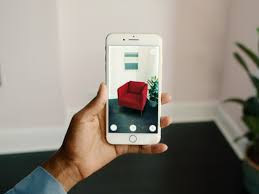 Given Ikea's foray into the AR space with its Ikea Place app, we expect this will be a real thing soon - and customers will start expecting every brand to create AR manuals to do everything from simple car engine fixes to working an overly-complicated coffee maker. Think of it this way -- if there is a YouTube tutorial for it now, there should be an AR tutorial for it in the new few years. The weather in NYC should be better tomorrow, so come see us on a panel at the NYC Media Center, talking brands and VR/AR with folks from Ad Week, Google, Isobar, and Spark Foundry. We'll also be speaking June 1 at Augmented World Expo if you're on the west coast. Finally, for those of you suffering through the snow here in the Northeast, a song to get you through the day. Newer PostLooking for an 80% increase in conversions?